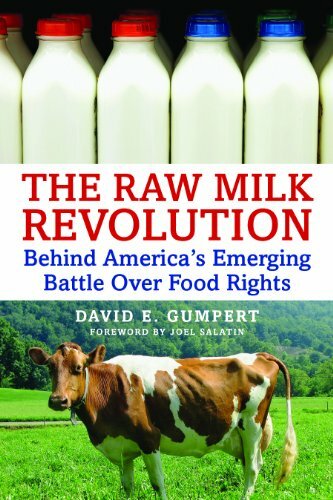 When health and business journalist David E. Gumpert, author of the newly released Raw Milk Revolution: Behind Americas Emerging Battle Over Food Rights, decided to look beyond the official FDA statement on raw milk and pasteurization, he encountered farmers and producers of nutritional supplements who told a very different story. While you have been led to believe pasteurization significantly reduced childhood illnesses like tuberculosis and typhoid, the process came into prominence in the late 1800s-early 1900s, simultaneous with the building of sewage systems and improvements in the cleanliness of our water supply. Given this timing, its quite likely the benefits of pasteurization alone have been greatly exaggerated. Pasteurization destroys part of the vitamin C in raw milk, encourages the growth of harmful bacteria, and turns milks naturally occurring sugar (lactose) into beta-lactose. 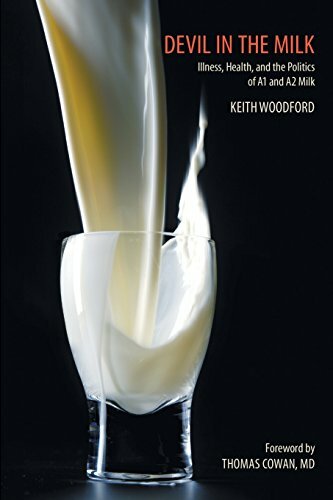 Beta-lactose is rapidly absorbed in the human body, with the result that hunger can return quickly after a glass of milk  especially in children. The pasteurization process also makes insoluble most of the calcium found in raw milk. This can lead to a host of health problems in children, among them rickets and bad teeth. And then theres the destruction of about 20 percent of the iodine available in raw milk, which can cause constipation. When the FDA equates drinking raw milk to playing Russian roulette with your health, I assume theyre referring to the milk that comes out of most commercial dairies (the same ones they recommend as good sources for your milk). Factory farmed dairy cows are typically kept in indoor stalls or on drylots. A drylot is an outdoor enclosure devoid of grass. Cows raised on drylots usually have no protection from inclement weather, nor are they provided with any bedding or a clean place to rest. Its true if you were to drink milk from these cows prior to pasteurization, you could indeed be risking your health. Theres also the matter of very powerful dairy industry lobbies. What would happen to the majority of the dairy industry if raw milk really caught on? Theyd be forced to clean up their acts. Raise healthier cows. Give them access to pasture. As only healthy cows are the ones that you would buy raw milk from. Raw milk from clean, healthy cows bears no comparison  in taste or nutrition  to pasteurized milk. High-quality raw milk will always win out over the pasteurized variety. Its important to know that the milk you drink will only be as healthy as the cow that produced it. Make sure to source your raw milk from a clean, well-run farm that gives its cows access to pasture. Its not uncommon for people who drink raw milk to report improvement or disappearance of troubling health issues  everything from allergies to digestive trouble to skin problems like eczema. If youre still on the fence, I suggest you talk to people in your area who drink raw milk and eat raw dairy products. I assure you there are more raw-milk drinkers around than you may think. And you dont have to stop with milk. Most raw-milk providers also offer other wonderful raw dairy products like cheeses, sour cream, kefir, yogurt, butter, and fresh cream. The flavor of these dairy products is incomparable  rich, creamy, sweet and incredibly fresh.